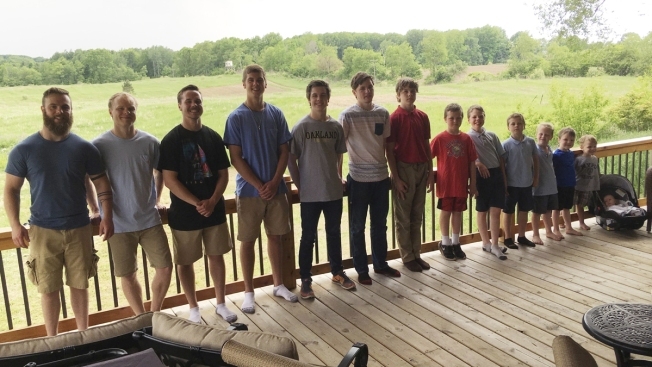 In a photo from May 30, 2018, the 14 brothers of the Schwandt family pose for a photo at their farm in Lakeview, Mich. From left are Tyler, Zach, Drew, Brandon, Tommy, Vinny, Calvin, Gabe, Wesley, Charlie, Luke, Tucker, Francisco and Finley. The boys range in age from 2 months to 25 years. They have no sisters. 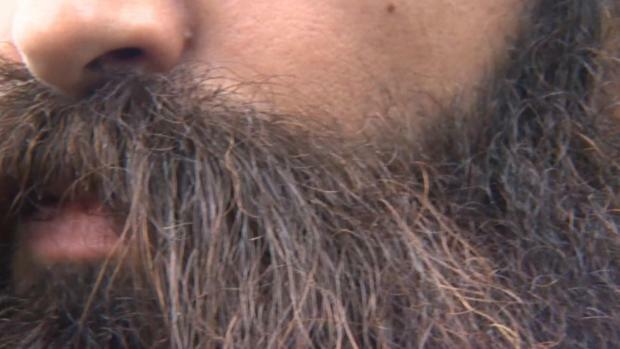 A Michigan couple has 14 boys.